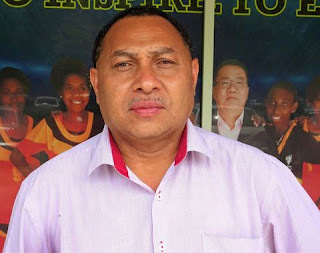 The Papua New Guinea Football Association today announced the appointment of the Head of Delegation for the Papua New Guinea Men’sfootball (Soccer)National Team. PNGFA President David Chung says former Managing Director of the National Broadcasting Corporation and football advocate Joseph Ealedona has been appointed as the Head of Delegation effective immediately. He said it was an effort to bring changes to the management of the national team as the PNGFA embark on its ambitious roadmap to get PNG to the FIFA World Cup. Mr. Chung says Mr. Ealedona will bring his managerial, corporate and public affairs networking and skills to the benefit of the management of the National team and our planning process as we embark on this exciting FIFA World Cup run. The President said as the Head of Delegation, Mr. Ealedona working closely with the National Coach Fleming Serritslav and the team management and the PNGFA prepare our team for the Home and Away games against Tahiti in March 2017 and later the Solomon Islands. The winner of this pool will play the winner of the pool consisting New Zealand, New Caledonia and Fiji of which the winner will play the fifth place of the CONCACAF (South America) to enter the prestigious FIFA World Cup Russia 2018. Mr. Chung said with the success of PNG at the recent OFC Championships and with a quality coach in Flemming Seritslav and good government and corporate support, the road map to the World Cup whether in 2018 or in future is not a dream but something we can chart and plan forward for. Meanwhile Mr. Chung announced PNG will play a friendly against Malaysia in Kuala Lumper on the 14th November and hopes to secure one or two more friendlies with other countries while in the region.